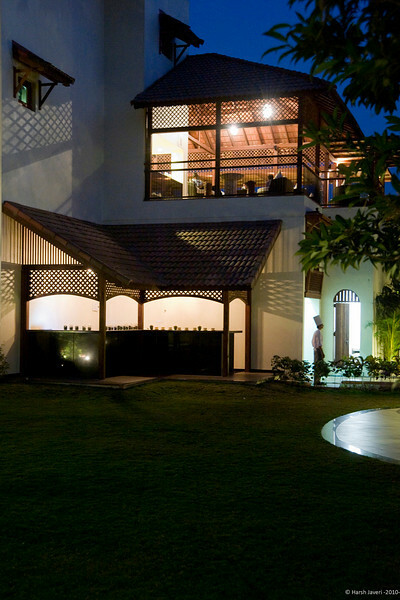 On my last trip to Ahmedabad we went to this Madhubhan Resort & Spa for a weekend. Covering 650,000 sq.ft. it is situated outside Anand, Gujarat. By road Anand is 1.5 hours from Ahmedabad and 45 minutes from Baroda. Designed in a unique and beautiful blend of Balinese and Ahmdabadi (Pol) style it's a luxurious place to spend a weekend offering many recreational facilities and a spa. That is a fascinating pattern. Well seen.